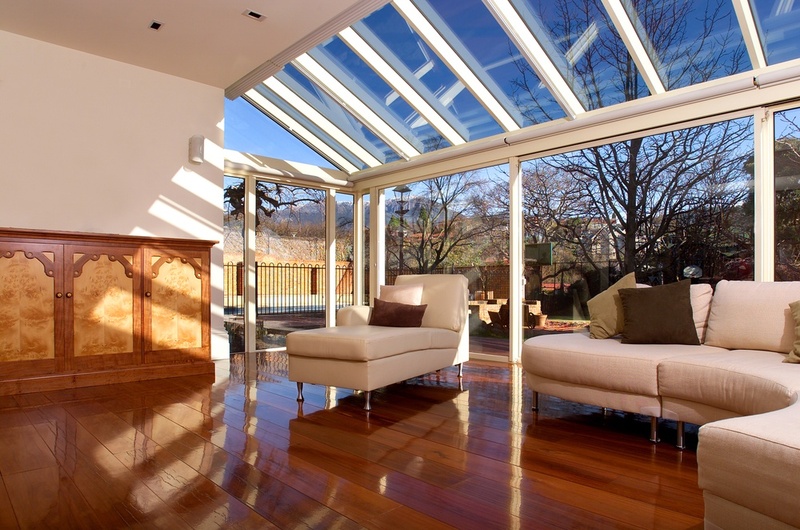 Good skylight shades will keep the sun you’ve invited into your house out when the heat it creates gets to intense. Before you can understand why you might need skylight shades, you need to understand why you might need or want a skylight. Skylights are large ceiling windows. They’re placed in areas of the home that need more light. Often times these areas have no other access to natural light. For example, bathrooms are a common place for skylights. Many bathrooms do not have windows. Adding a skylight lets the sun in and naturally brightens up the room. Those who live in smaller houses might add skylights to various rooms make the house appear bigger. Putting a skylight in at the top of a room gives the illusion that the room is larger. The light lengthens the room. This can be a big attraction when a person is tying to sell a smaller house. Skylights are great for letting light in, but what if you want the light out? Let’s say you have a skylight in your bedroom. You love the natural light it brings in during the winter, but what about the summer? Do you want the sun to greet you for a 6 a.m. rising every morning? If not, you may need skylight shades. You can’t just turn a skylight off. However, you can buy a special shade that will allow you to control access to the light. There are several different skylight shades to choose from. Light-blocking shades will keep the sun out of your room. Venetian blinds look just like the blinds that are probably on your windows right now. Venetian skylight blinds are made out of aluminum and keep out sunlight. They’re also thick enough to protect your privacy. Cellular shades block some of the sun’s rays. This is a good shade choice in a room that contains a TV or computer because it cuts down on glare. If your sunlight is in a hallway or bathroom, you’re probably not going to need a skylight shade. You’ll save yourself some money if you only get skylight shades in rooms you do not sleep in. How the heck are you supposed to open and close a window shade if you can’t reach the window? Good question. Skylight shades can be raised and lowered manually or mechanically. In some homes the skylight might be placed on a slanted ceiling that is within reaching distance. In this case, the homeowner can manually pull down and raise the skylight shade. If your skylight is far to high to reach, you can get mechanical skylight shades. These skylight shades are operated using a handheld mechanical device and are very easy to operate.